Soendergaard Design was established in 1993 when ceramicist Lars Soendergaard Gregersen moved to England from his homecountry of Denmark. Lars trained in Denmark before setting up Soendergaard Design, at Fressingfield in Suffolk. Lars Gregersen works in the Scandinavian tradition of design and function. All his designs are handthrown in porcelain and finished in glazes using only natural pigments. Lars finishes his ceramics with either a gloss finish, or more unusually a matte finish to create distinctive and tactile pieces of crockery. Apart from Fressingfield, Suffolk, being the home to half of my paternal distant ancestry, I don’t know that much about it except for the residing potting talent and shop owner of ‘The Pottery’, Lars P. Soendergaard Gregersen. Some years ago, I was looking for a unique present to give and I found it here in the form of a stunning ‘Eve’ design aubergine Mocha coffee cup and saucer with a wax resist finish. Inspired by the colour palette of the 1970’s and Danish studio potters of the same era, Gregersen aims to make his own ceramics “styled and simplified” which he successfully perfects - the style ranges are clean lined and have a sense of purity with beautiful colourings that he hand mixes. 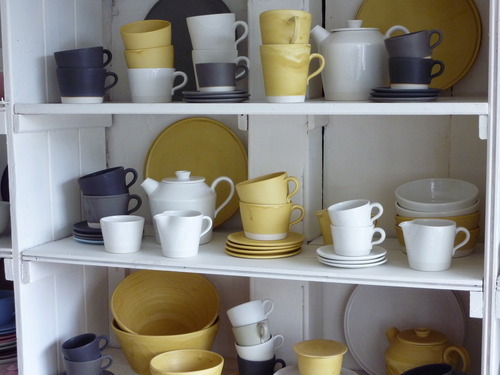 His mastery in domestic ware has gained him a broad range of clients from random British individuals like myself to commissions from Japan, Hong Kong and Argentina to businesses such as Heals, Toast, The Conran Shop, Liberty, David Mellor and Nicole Farhi. I would wholly recommend owning a piece or two whether for yourself or as a present to anyone that appreciates a beautifully handmade item. 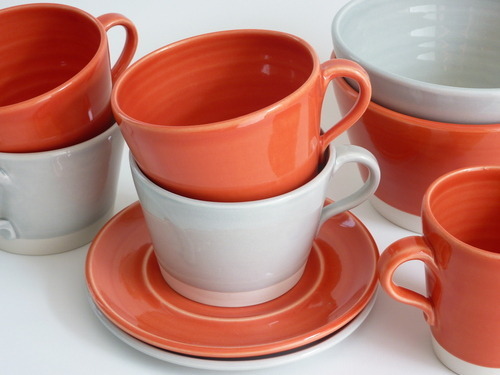 'The Pottery’ is a find and so too is its owner.